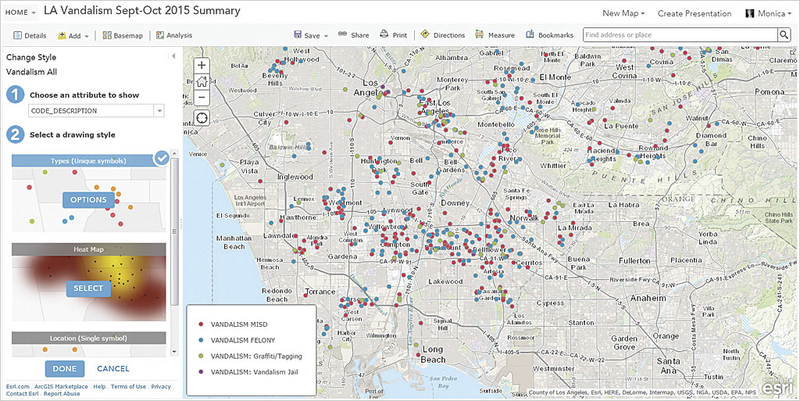 However, before you start mapping anything, ask yourself a very important question: Does this data deserve to be mapped? Perhaps the message is so simple it doesn't need to be mapped. 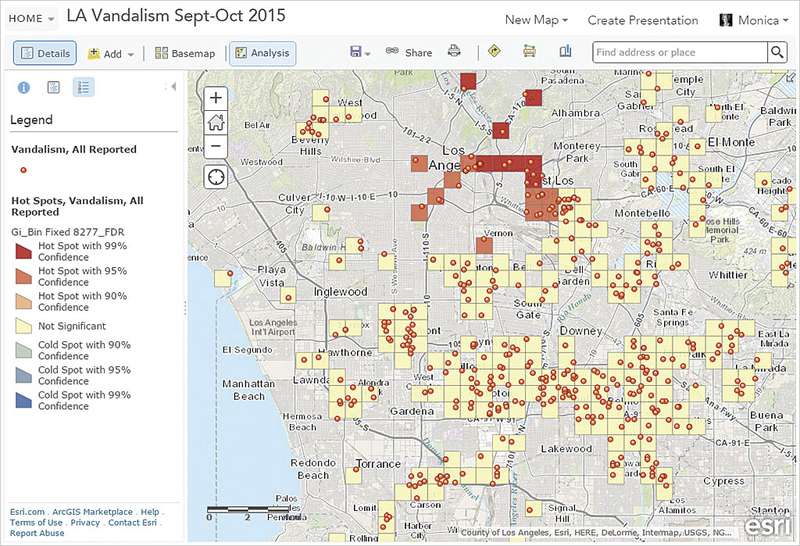 What insights will mapping provide about the data? If the answer is none, stop right there. 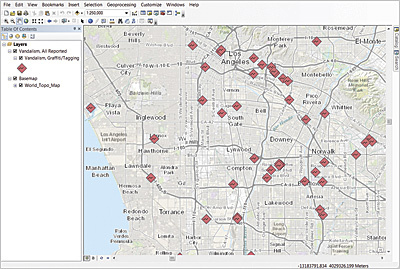 To make the data compliant with ArcGIS, eliminate any blank records, ensure there are no empty fields or duplicate field names, and check that field names conform to ArcGIS naming conventions. 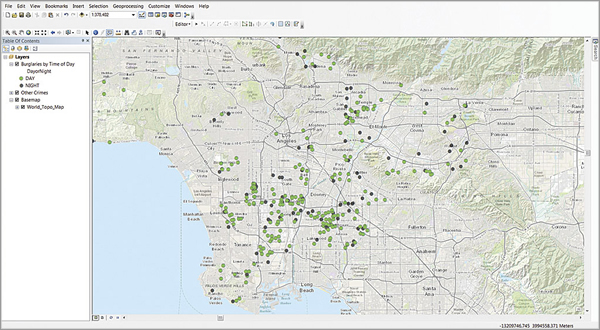 For more information on using Excel files in ArcGIS, see the article "Always and Never When Formatting Excel Tables" in the Fall 2015 issue of ArcUser and "Best Practices When Using Excel Files with ArcGIS" in the Spring 2012 issue of ArcUser. Because CSV is a basic format style, it does not contain field types for the columns of data it stores. 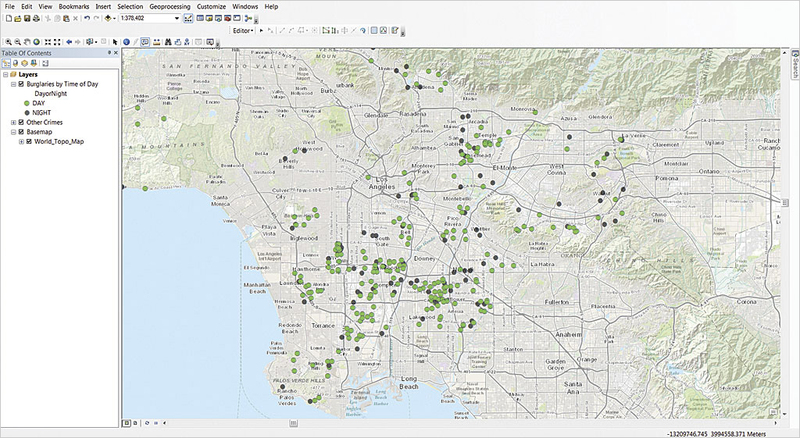 To learn more about how to ensure CVS files are added to ArcGIS Online in the most useful format, see "Make More Useful Layers from CSV Files" in this issue. 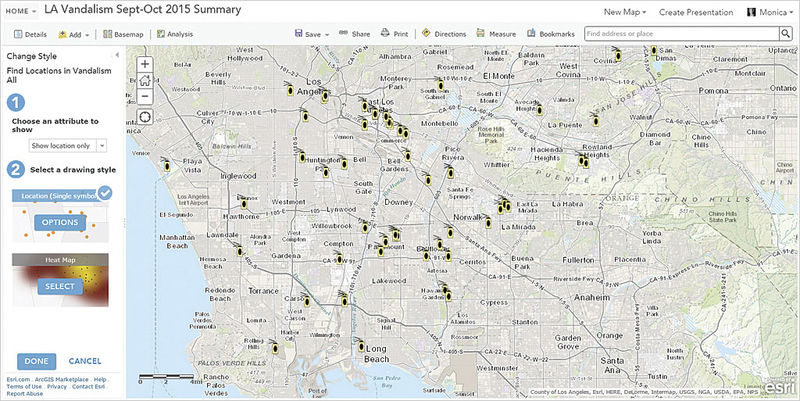 Once data for vandalism is added, just the locations related to reported graffiti can be highlighted by filtering the data. ArcGIS Online has a Filter tool available directly underneath the layer in a web map when it is in the map viewer. Clicking the Filter icon brings up an expression builder that walks you through the creation of one or more expressions that can be applied to the layer to filter data. Filtering combined with Set Visibility Range can give you greater control over the viewer's experience. Just as your message can be lost in a mass of mapped points, it can also be lost in a map that contains too many categories even if that is how the data came to you. Although the data may be broken down into very detailed subcategories, the map's message may rely on the comparison of just a few high-level categories of that data. Even though the data you received may have been given to you as point data, that doesn't mean it has to stay as points. Point data may be much more effectively presented as a surface or aggregated in some fashion. 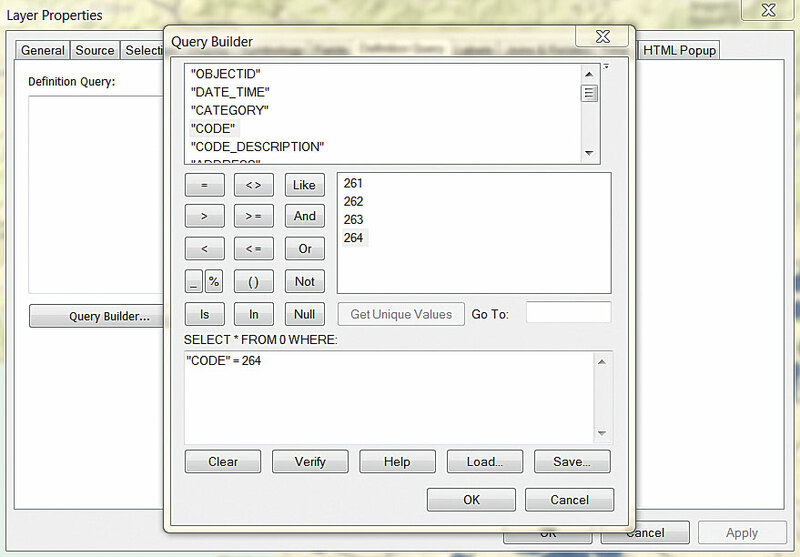 Aggregation can be based on time as well as location. For example, perhaps you received hourly data on some phenomenon, but it will make more sense and tell a clearer story if it is aggregated to days or even week or months. The bottom line: Points don't have to stay points. 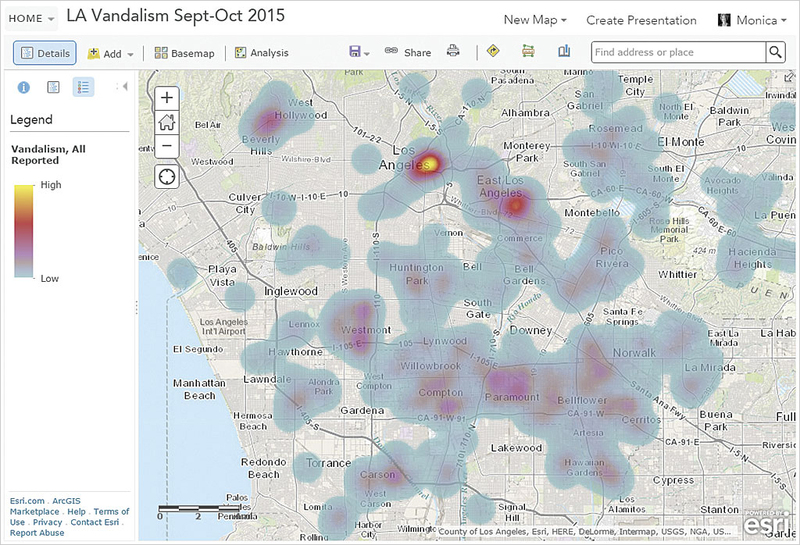 Some easy methods for meaningfully aggregating point data include heat maps and hot spot maps. 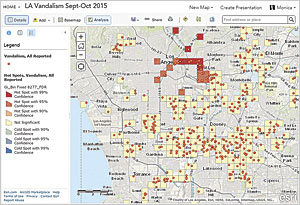 Both heat and hot spot mapping are part of the smart mapping tools in ArcGIS Online. In ArcMap, heat maps and hot spot maps can be generated using the Spatial Analyst tools that are available with the ArcGIS Spatial Analyst extension.